Got GOTS? What is the Global Organic Textile Standard? Since embarking on this capricious journey called blogging, I have learned quite a lot about agriculture and our food supply. Of all the things I’ve learned, the fact that cotton and our food are inexplicably linked was quite a mind bender. 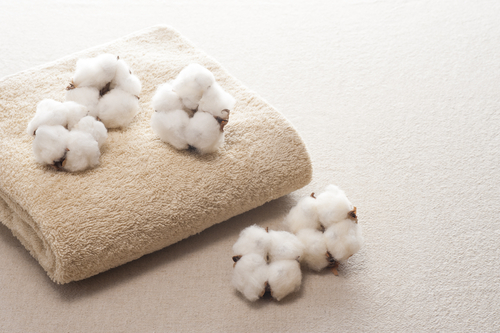 In my post, “It’s time to think about Organic Cotton,” I uncover the fact that conventional cotton production is very toxic, considered the world’s dirtiest crop due to its heavy use of pesticides, and is almost always genetically engineered. Combine that with the fact that as much as 65% of all cotton production can end up on our plate, through cotton seed oil, or indirectly through the milk and meats of the animals fed cotton seed meal and cotton byproducts. It’s a recipe for a toxic platter from farm to frock to fork. Hundreds of millions of pounds of toxic pesticides and fertilizers are being used in the production of conventional cotton in the U.S. alone. Additionally, the processing of our bedding, towels, clothes and even mattresses ends up as chemicals in our waters. The World Bank estimates that almost 20% of global industrial water pollution comes from the treatment and dyeing of textiles. The textile industry is one of the largest and dirtiest global polluters. What does this mean for people living near textile processing plants overseas? They are compelled to drink, cook, bathe their children, and water their gardens with contaminated water, bright fuchsia one day and bamboo green the next—depending on the color the nearby factory is dyeing that day. What does this mean for consumers who are exposed to cancer-causing formaldehyde and the plethora of toxic processing agents on their apparel, beds, bedding, towels and other essentials? Conventional textiles and their processing is a noxious circle of contamination. Thankfully there is another way. 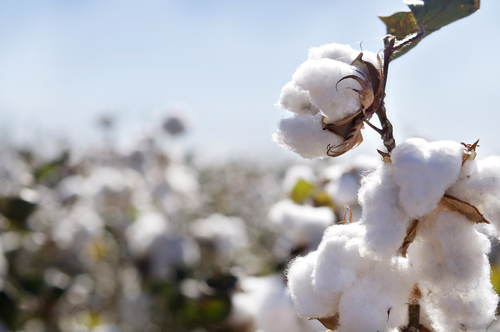 Organic cotton is growing in the U.S. and 21 other countries around the world. Organic textiles have become a $16 billion international market according to the Textile Exchange. This innovative non-profit organization envisions a global textile industry that protects and restores the environment and enhances lives. Organic fiber is now the largest non-food organic category in the U.S. market, with organic fiber sales in the U.S. totaling over $1.1 billion in 2014! Organic textile and cotton sales are booming and most companies are experiencing huge growth in all their organic cotton programs. Organic clothes and bedding have become easier to find and more affordable. While organic textile production is growing, the processing piece is sometimes overlooked. It is possible for companies to use organic fiber, implying their products are organic, but not address the problems posed to workers and the environment by toxic processing inputs. Import organic cotton and then douse it with formaldehyde and toxic dyes? That’s where the Global Organic Textile Standard or GOTS comes in. GOTS is recognized as the world’s leading processing standard for textiles made from organic fibers. It defines environmental criteria along the entire organic textiles supply chain and requires compliance with social criteria. Only textile products that contain a minimum of 70% organic fibers can become GOTS certified. All chemical inputs, such as dyes, are required to meet certain environmental and toxicological criteria. The choice of accessories is limited in accordance with ecological aspects. A functional waste water treatment plant is mandatory for any wet-processing and all processors must comply with minimum social criteria. Many manufacturers are becoming certified to the Global Organic Textile Standard, which addresses these processing stages and labor concerns. In 2014, the number of facilities worldwide certified to GOTS grew by 18% to 3,085 facilities. Almost 50 companies in the U.S., representing stages all along the entire organic textile supply chain, have chosen to become GOTS certified. Many textile companies in the U.S. still don’t know about the USDA organic textile policy which states that textiles making an organic claim must be certified to the National Organic Program’s food standards AND have GOTS certification. What is used in fiber production and processing directly affects the food we eat, water we drink, and air we breathe. When purchasing clothes and bedding, always buy organic and look for the GOTS seal to understand how these products are made all the way down the supply chain. It’s time for the textile sector to come clean and get GOTS! This entry was posted in Environment, Organic Policy and Regulations, Social Implications in Agriculture, What is Organic and tagged Global Organic Textile Standard, National Organic Program, Organic Agriculture, Organic Cotton, Organic Trade Association, Textile Exchange. Bookmark the permalink.